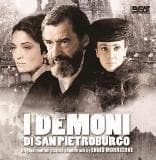 I DEMONI DI SAN PIETROBURGO (2008, THE DEMONS OF ST. PETERSBURG) marks the twelfth collaboration between director Giuliano Montaldo and composer Ennio Morricone. The score was released as a limited edition earlier this year by Keep Moving Records and quickly sold out. Now available once again in this deluxe edition by Beat Records, the Maestros intimate, orchestral, melodic score is celebrated once again, with a 16-page booklet featuring original artwork from the film and liner notes by French critic Patrick Bouster. Limited edition of 1000 copies! 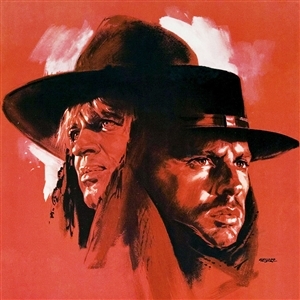 A movie released in 1980 on the long crime genre trail that was very prolific in the previous decade, "Il bandito dagli occhi azzurri" (aka "The Blue-Eyed Bandit") was directed by Alfredo Giannetti and starred Franco Nero, Dalila Di Lazzaro and Fabrizio Bentivoglio. A very rare film and a very rare score, the music was composed by honorary Academy Award winner Ennio Morricone, one of the most popular musicians of our times. The movie is based on a complex script with many twists and surprises involving a dangerous bandit, Fabrizio Bentivoglio, and his enemy, Franco Nero, in his classic role of the commissioner. Once again, the Maestro created astonishing sonorities, taking some jazz keys that we could frame into the "Take Five" ambience, just to bring to closure a score that does not delude punctually. With more than 49 minutes of great music including 8 never-before-released cues, its a blue-eyed score as youve never heard it before!The CD is packaged in a jewel case with a 12-pages booklet, with liner notes on the movie and score and an in-depth biography on Franco Nero by Fabio Babini. Limited edition! 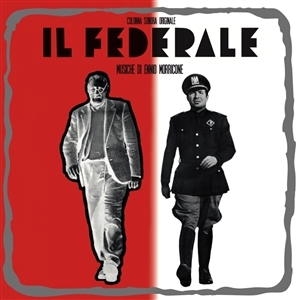 This soundtrack written by a young Morricone for Luciano Salces Il Federale (The Fascist, 1961) starring Ugo Tognazzi, is a music jewel containing many elements so typical of his later style that he has developed and matured during his incredibile career; this score is important from a historical point of view since it represents Maestro Morricones absolute first film scoring assignment. First time complete edition on VinylLimited edition of 500 copies. Il Gatto a Nove Code (The Cat o 'Nine Tails), filmed in 1971, is the second film by DARIO ARGENTO, a horror thriller still distant from his horror works for which he will later become famous on an international level. The collaboration with the composer and conductor ENNIO MORRICONE, already known for his work on Sergio Leones western movies, is here renewed after the success of The Bird with the Crystal Plumage, and will continue with the third installment of the 'zoological trilogy', Four Flies on Grey Velvet. When the previous soundtrack for Argentos first movie had proved to be a really tough listen, here Morricone goes even further, creating a really dissonant and avant-garde sound, with practically one single basis theme in the form of a few essential bass guitar notes. Like many other soundtracks of those years, The Cat o 'Nine Tails had to wait more than 20 years to see the light in its entirety, with a single 45rpm released at the time! Today, this score is reissued by AMS Records in LP format with gatefold cover..
A void that had to be filled for a long time, one of the most wanted scores by Ennio Morricone Fans, IL GIUDICE E IL SUO BOIA (aka Assassinio sul ponte, Der Richter und sein henker) is a noir movie, "yellow" tainted. In this deluxe two folds DIGIPACK edition, numbered inside from 0001 to 1500, with a 24x36 cm poster featuring Daniel Winkler liner notes, Beat Records offers more than 70 minutes of music featuring the original soundtrack in full stereo composed by the great Maestro.We do not need to comment further this masterpiece: the eagerness of the Maestro's fan to have this CD will be sufficient! 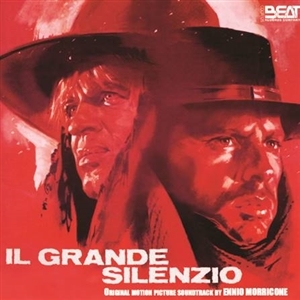 New deluxe release of the popular scores composed by Maestro Ennio Morricone for IL GRANDE SILENZIO and UN BELLISSIMO NOVEMBRE, presented in a jewel case with transparent tray and 12-page booklet full of artwork from the film. The reversible booklet features the original painting by the artist Sandro Symeoni-one of the most illustrious painters for Italian cinema-who passed away years ago.Mastering by Enrico De Gemini and graphic layout by Alessio Iannuzzi, including brief notes on the two films. A classic in Beat Records catalog is available once again. 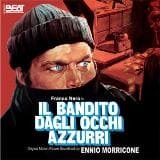 Original soundtracks for Il prefetto di ferro (Giuliano Gemma, Claudia Cardinale, Massimo Mollica, Rossella Rusconi, Rick Battaglia, Enzo Fisichella, Lina Sastri, Stefano Santa Flores, Francisco Rabal), and Il mostro (Johnny Dorelli, Sydne Rome, Renzo Palmer, Yves Beneyton, Enzo Santaniello, Gianrico Tedeschi, Orazio Orlando, Angelica Ippolito) by Ennio Morricone. Inside an 8 pages booklet with lobby cards of the movies and a photo gallery, along with liner notes and plot of the movies. The Maestro Morricones Mediterranean sounds for the cult movie "Il Prefetto di Ferro" - directed by Pasquale Squitieri and starring the Italian cinema legend Giuliano Gemma - are sometimes warm, sometimes hard and sharp. With this score we can easily understand how much the Italian composer know about Sicilian folk music; the wonderful ballad "La Ballata del Prefetto Mori", with its sad lyrics written by Ignazio Buttitta, is magistrally interpreted by one of the most important voices of Sicilian folk music: the legendary Rosa Balistreri. Deluxe reissue on LP, remastered with audiophile quality. The Maestro Morricones Mediterranean sounds for the cult movie "Il Prefetto di Ferro" are sometimes warm, sometimes hard and sharp. With this score we can easily understand how much the legendary Italian composer know about Sicilian folk music; the wonderful ballad "La Ballata del Prefetto Mori" is magistrally interpreted by one of the most important voices of Sicilian folk music: the legendary Rosa Balistreri. IL SEGRETO is a noir film directed in 1974 by Robert Enrico and starring Jean-Louis Trintignant, Marl�ne Jobert, Philippe Noiret, Solange Pradel, Antoine Saint John, Jean-Franois Adam. The Ennio Morricone music reflect the noir atmosphere of the plot where a veritable subtle "manhunt" against three people is unleashed . Suspense music on the border of the avant-garde experiments (harps with echoes) is alternated to a nostalgic motif with the voice of Edda Dell'Orso. At the time, only a 45 rpm was issued in Italy. Mastered from the original stereo master tapes. Finally available the full original motion picture soundtrack of IL SORRISO DEL GRANDE TENTATORE, in a version that celebrates the score that the same maestro, at the time speaking, considered the most beautiful score he ever composed. Surely an important work with orchestrations and choirs in an esotheric performance, surely experimental and with moments of great intensity. Edition in a 2 folders DIGIPACK box with 24x36 cm poster in limited edition, 1000 copies serial numbered in the second page of the digipack! Released along with the first issue of the Italian cult magazine "Il Giaguaro", and now impossible-to-find, this limited slab of vinyl carried 4 unreleased tracks from the movies "LAlibi", "Le Foto Proibite Di Una Signora Per Bene" and "Gli Intoccabili", all composed by the king of the Italian 70s composers Ennio Morricone. For all his completists, this is pure gold. 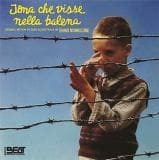 Jona che vise nella balena (Look to the Sky) is a movie directed by Roberto Faenza in 1993 starring Jean-Hugues Anglade, Juliet Aubrey and Jenner Del Vecchio. The story is based on the deportation of a Jewish family from Amsterdam to a Nazi prison camp and the holocaust as witnessed through the eyes of Jona, wrenched from his world and forced into a horrible new setting. Its a wonderful movie that brings a new variant on the theme, filtered through the eyes of a child and featuring a powerful score by Maestro Morricone that accentuates Jonas emotions. Punctual in realizing an emotive retaliation of great quality, the Maestro chisels with mastery one of his most iconic scores of the 90s. Out of print for a long time, the score is available once again in this deluxe edition by Beat Records.The CD is presented in a jewel case, with liner notes (in Italian and Englislh) by Roberto Pugliese (Colonne Sonore web magazine), 12-page booklet designed by Alessio Iannuzzi, and mastering by Claudio Fuiano. 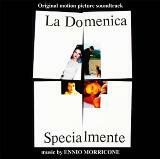 Original soundtracks for L'anticristo (Carlo Gravina, Mel Farrer, Arthur Kennedy, Alida Valli, Umberto Orsini, George Coulouris) and Sepolta Viva by Ennio Moricone and Bruno Nicolai. Inside an 8 pages booklet with lobby cards of the movies and a photo gallery, along with liner notes and plot of the movies. L'harem was directed in 1967 by Marco Ferreri and starred Carroll Baker, Gastone Moschin, William Berger and Renato Salvatori. It tells the story of three men entangled in a relationship with the wonderful Carroll, who cant choose between them. Following their suggestion, she lures them to an isolated villa, like a real harem with the roles inverted. The story ends in tragedy when the she-sultan decides to leave her lovers.The unique and demanding score of two-time Oscar-winner Ennio Morricone complements the film. The Maestro chose a score partly sacral, both tonal and atonal, availing himself of Gato Barbieris proficiency on the sax, accompanied by a full orchestra. The atmosphere fully expresses the conflicted soul of the protagonist and is rendered even more exotic by the guitar performance of Bruno Battisti DAmario, alternating soft velvet executions with more rhythmic cues.Finally, a definitive version of this score is available, including the cue "Fermateli!" from the movie Menage allitaliana (1965), so beloved by the director that he decided to use it again in this film. The CD comes in a jewel case with a 12-page booklet designed by Alessio Iannuzzi, liner notes and mastering by Claudio Fuiano. Originally released in 1971 by the almighty RCA Italiana La Classe Operaia Va in Paradiso was another strike for Maestro Ennio Morricone, one of the most in-demand composers and arrangers of the time. Avant-garde and slo-funk -with scary fuzz and wah-wah guitars - collide on the track Metamorfosi and before you know it we are in the same vertigo generated by Gruppo Dimprovvisazione Nuova Consonanza. Classical and lush orchestration are found all along while pounding rhythms are the main course for the original theme: a violin solo offers a dramatic view of the main score just before an aggressive guitar break enters the psych-o-rama. The movie directed by Elio Petri was a dramatic take on the main social issue of the early seventies, dealing with the heavy conditions of the working class. This is one of the most sought-after soundtracks of Morricones experimental side, as you might know by the original tribute set by John Zorn for Big Gundown in 1986 (Metamorfosi was then performed by a whos who cast of stars featuring Vernon Reid, Bob James and Diamanda Galas). Another fine example of the Maestros skills, breathtaking orchestration for Elio Petris final part of the neurosis trilogy which began with Indagine Su Un Cittadino Al Di Sopra Di Ogni Sospetto and was followed by La Classe Operaia Va in Paradiso. Total, a young bank cashier, has been wondering for some time if his life, with its grey, dismal prospect, is worth living. He is aware of the illicit careers and rise to riches of many of his clients. He decide to start a new life: new clothes, new cars, new women. His "new look" begins discreetly, a few small robberies in supermarkets, progressing to more important fraud. 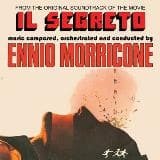 Another fantastic Morricone soundtrack back in print on vinyl for the first time since its original release in 1973.